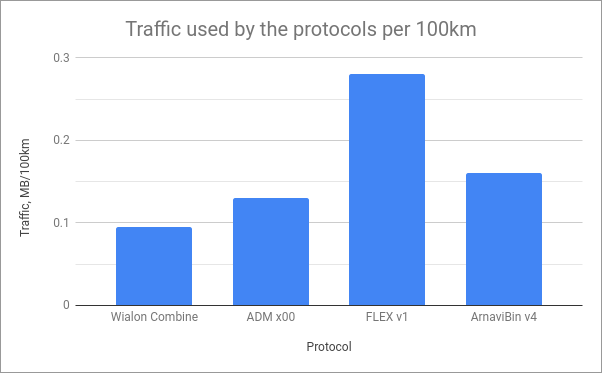 Comparison of the new Gurtam protocol against competitors based on the research by one of the hardware manufacturers. Gurtam company is known not only for the flagship product — Wialon — an ultimate fleet management platform — but also as a creator of several telematics protocols used across the industry. One of the recent developments is Wialon Combine — a universal binary protocol for GPS and GLONASS trackers that send data to GPS monitoring systems using TCP or UDP connection. The protocol has a flexible data structure and does not send empty parameters thus saving precious bytes of traffic (see official specs). Well, let’s see how good it is in the field tests. GlonassSoft is a Russian GPS hardware and software company that uses Wialon Combine in its tracking devices. The guys conducted a decent research of several protocols in the same conditions. We’ll briefly outline the testing environment and the results. 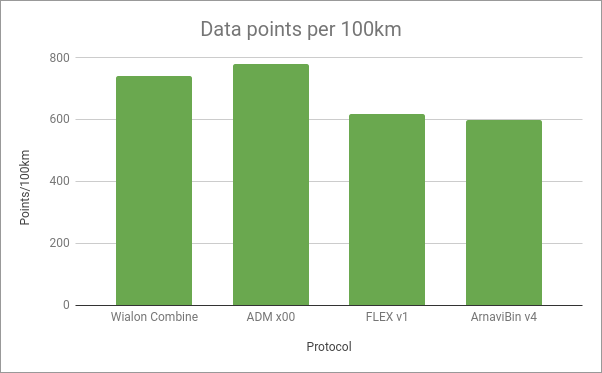 As you can see, Wialon Combine is doing pretty well compared to others proving its suitability for traffic-efficient GPS tracking. What has flespi to do with Wialon Combine? Well, it supports a few trackers that rely on this protocol and enables you to get the data from them in any application. Forwarding data from your GlonassSoft, or Mielta or other trackers to the flespi telematics hub makes it available via REST API, MQTT or specific types of outgoing streams to the target fleet management, ERP, or BI software that is intended to accomplish your business goal. An intangible bonus you get when relying on Gurtam products is the super-fast and super-competent technical support — they will help you along the way, guide to the right resources, and mediate negotiations with other company departments if needed. If you are a hardware manufacturer, you may save time relying on the ready-made universal protocol. If you are a business picking the GPS tracking devices for the project, you may look into Wialon-Combine-powered trackers as an opportunity to cut Internet traffic expenses. Make smart choices and grow efficiently.